Spring has finally sprung and if you are planning on planting a few new flowers, bushes, or trees there are a few things you should consider. Planting anything in South Florida can be a little difficult from time to time. Recognizing this, we have come up with a few helpful hints to help you design the perfect landscape for your home. No matter what you are planting this spring, it is always important that you provide enough sunlight to allow new plants to prosper. Although there are some plants that require little sunlight, it is wise to consider the characteristics of your yard and how much light each plant will receive. Another variable often overlooked is providing enough space for a plant to grow. If you plan on growing a plant in a crowded space, there will be a much greater need for pruning and it will be far more difficult to maintain its health. Lastly, it is important to understand how much water your plant needs and where rain water pools and/or drains. Plants placed in areas with little to no water struggle to survive, as they are not receiving the essential nutrients required to sustain life. On the other side of the spectrum, placing a plant where water pools will inevitably drown the plant. Each and eve ry plant in your yard serves some sort of function. Most of the time we consider our landscape to deliver a feeling of release, a paradise in our backyard. But your yard can serve as much more than just aesthetics. Trees and shrubbery can deliver you much needed privacy, direct traffic in your front and backyard and provide pets and wildlife with a natural habitat.If your power bill is getting a little high, the right trees and shrubs may help. Delivering your house or patio some much needed shade can decrease the need for running your air conditioner throughout the day and can make your yard much more inviting. rtime, it is essential to comprehend the growth rate of your landscape and how the South Florida insects and pests may affect it. There is an assortment of wildlife in South Florida that can put unwanted stress on your yard such as chinch bugs and armyworms. Generally, we would recommend fertilizing your yard in the hot summer months, but if you live in an area with a fertilizer blackout extending from June to September, it is pivotal to have fed your plants enough in the springtime to protect them from insects, pests, and environmental stresses. If you are looking to redesign your front or backyard, give Zito Landscape design a call. 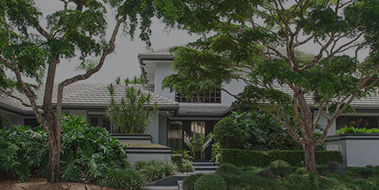 We have provided outstanding landscaping services for customers all over Miami, Fort Lauderdale, and South Florida. We strongly recommend that you take a look at our gallery to help you get an idea of what you are looking for and provide you with a little more knowledge of what we are capable of. Thank you for reading our blog! Continue to check in for more South Florida landscaping updates and helpful hints.